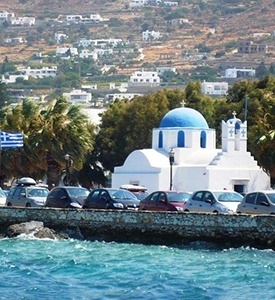 At the indicated time you will be transferred to the port for your ferryboat to Naxos. Upon your arrival, you will be met and transferred to your hotel. Free day in Naxos to enjoy the sun and the clear blue waters of the Aegean sea and to taste the local cuisine and especially the cheese of the area known all over Greece. Naxos is also known within Greece for its potatoes. Naxos is the largest island in the Cyclades island group in the Aegean. It was the centre of archaic Cycladic culture. Naxos is the most fertile island of the Cyclades. 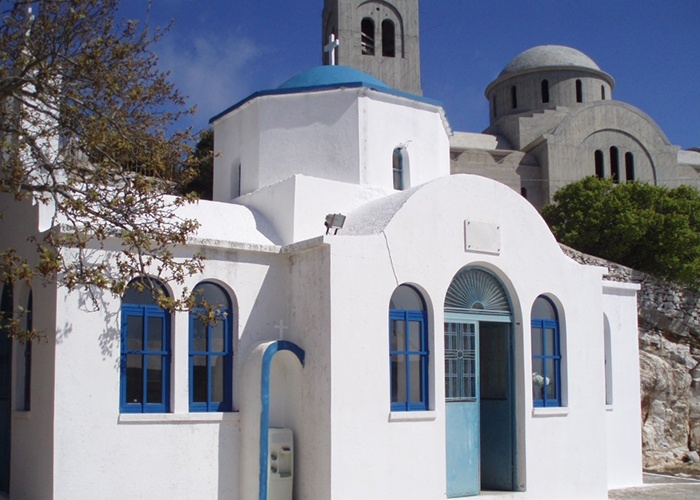 A day at leisure in Paros, the island with the exquisite sandy beaches in crystal waters, the traditional villages with whitewashed cubic houses in narrow paved alleys contrasted with the many bougainvillaea and lovely chapels. 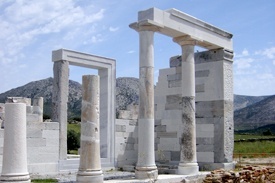 Paros was known in antiquity for its fine marble. 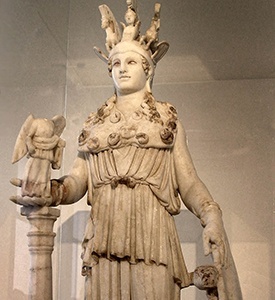 The capital, Parikia, situated on a bay on the north-west side of the island, occupies the site of the ancient capital Paros. Shadowed by luxuriant vines, and surrounded by gardens of oranges and pomegranates, the houses give the town a picturesque aspect. Not to miss the Ekatontapiliani Byzantine church in Parikia nor the nearby archaeological site. Also one of the most cosmopolitan areas of the island is Naoussa.